Here are some tips from Bassett and other experts on how to make allergy season less unbearable so you can spend at least part of your spring in the great outdoors. Throat or itchy skin; these are the telltale signs of the changing seasons for many allergy sufferers. 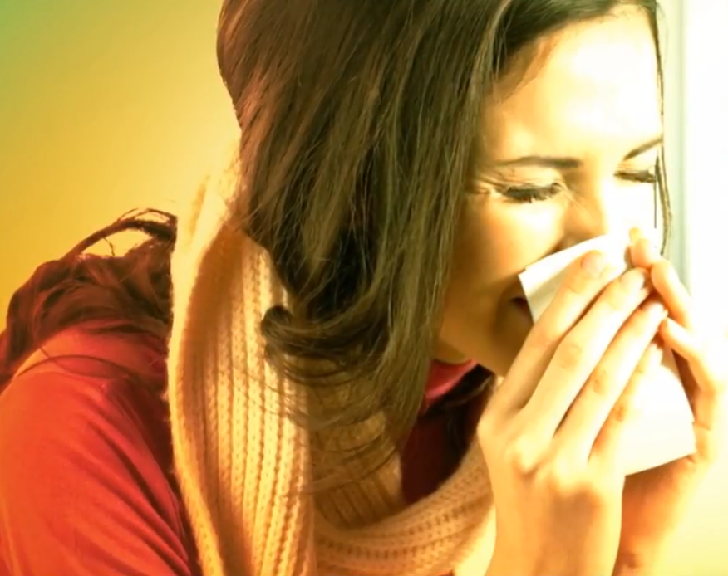 Allergies affect about 20 percent of the population and chances of you or a loved one getting affected are quite high. Allergies happen when the body overreacts to a relatively harmless substance such as pollen, dust, fur or even certain foods. Seasonal allergies are annoying, especially when they keep you from enjoying the festive holiday season. Fortunately, allergies are often easy to manage with over the counter medication. However, in some cases, allergies can be fatal. Besides avoiding the allergen when possible, drinking plenty of water and adhering to a healthy diet, use these natural remedies to keep your allergies at bay. Vitamin C is considered to be one of nature’s best gifts, and rightly so. It is a natural antihistamine; it works by destroying the molecular structure of histamine in the blood. Research published in the European Respiratory Journal in 2010 found that eating fruits high in Vitamin C helped reduce allergy symptoms. You can top it up by eating fruits and veggies rich in the vitamin (such as citrus fruits, Brussel sprouts, broccoli, collard greens) or by popping supplements. To get the most from your Vitamin C supplements, pair it with bioflavonoids. Unless you are allergic to nuts, you can add them to your diet to combat seasonal allergies. Nuts such as walnuts, hazelnuts, and chestnuts have anti-inflammatory omega-3 fatty acids that alleviate allergy symptoms. Omega-3 also inhibits the production of prostaglandin, a fat that is essential for producing histamine. Therefore, blocking the production of prostaglandin helps ease symptoms such as runny eyes, swelling, and congestion. Feeding young children nuts might also help prevent them from developing nut allergies later in life. Not a fan of nuts or allergic to them? Add flaxseeds and Chia seeds to your diet instead. Fish have healthy oils that are necessary for the formation of cells in the body. If you are allergic to fish, don’t worry, you can still take fish oil supplements that are a great source of omega-3 fatty acids. The fatty acids in fish have been shown to lower inflammatory chemicals in the body. Go for cod liver oil as it contains extra Vitamin A and D for added immune system support. Green tea contains antioxidant compound such as Epigallocatechin gallate (EGCG) that has been proven to reduce histamine reactions in the body and alleviate hay fever symptoms such as a runny nose, watery eyes, and sneezing. EGCG is found in most green teas as well as black tea and oolong tea. Are you a fan of outdoor workout in the morning? It is time to change your schedule. Many plants release their pollen in the morning, which tend to fly most thickly at midday. In addition, most allergy sufferers experience their symptoms in the morning. This makes end-of-day outdoor workout the best option. To minimize the risk of allergy even further, consider taking up indoor workouts for a while instead. You can take up aerobics, yoga or cardio. As if you needed another reason to open that bottle of wine! Wine is high in quercetin, an antioxidant that reduces the amount of histamine released in the body. With this antioxidant, a wine will help you reduce allergy symptoms, especially congestion. Quercetin is also available in apples, onions, and berries. To avoid bringing allergens into your home from outdoors, change your clothes and shoes as soon as you get home in the evening. Even better, take a shower or a warm relaxing bath before changing your clothes. Toss the soiled clothes into the laundry basket. Probiotics play a substantial role in fighting off allergies. In a study published in the journal, Clinical and Experimental Allergy, researchers found that people who drank a probiotic drink containing the probiotic strain Lactobacillus Casei experienced a lower incidence of allergy. You can get your daily dose of probiotics by consuming kefir, low-calorie Greek yogurt, or cultured vegetables. You can also get probiotic supplements. Spicy foods can act as natural decongestants and help fight other allergy symptoms. To give your meals an extra kick, add spices such as turmeric, anise, fennel, horseradish and hot mustard.